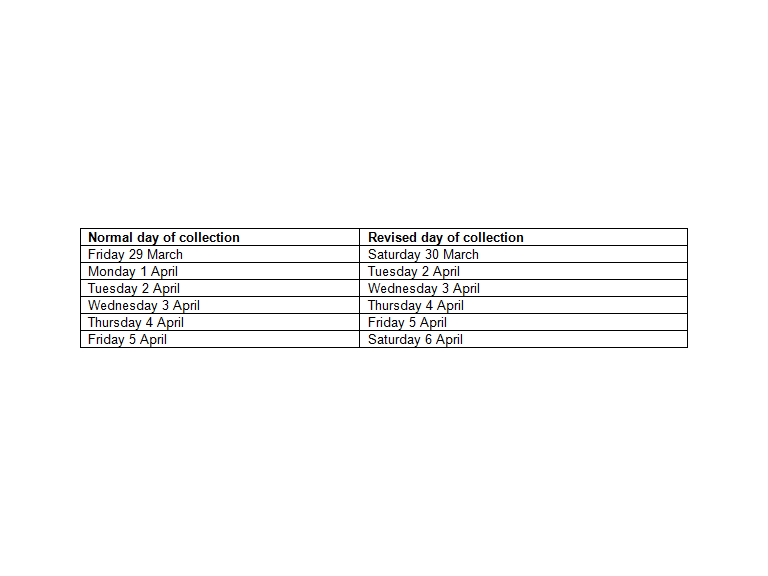 Although you have probably received a calendar with your collection dates on here is a reminder anyway. You must make sure that your refuse and recycling waste is available at the boundary of your property by 6am on the correct collection day. Cardboard from Easter egg packaging can be recycled in the green wheeled bins and any plastic casing can be recycled in your plastics green kerb-side box. Remember - don't include any foil as this is non-recyclable and should be placed in your black wheeled bin.